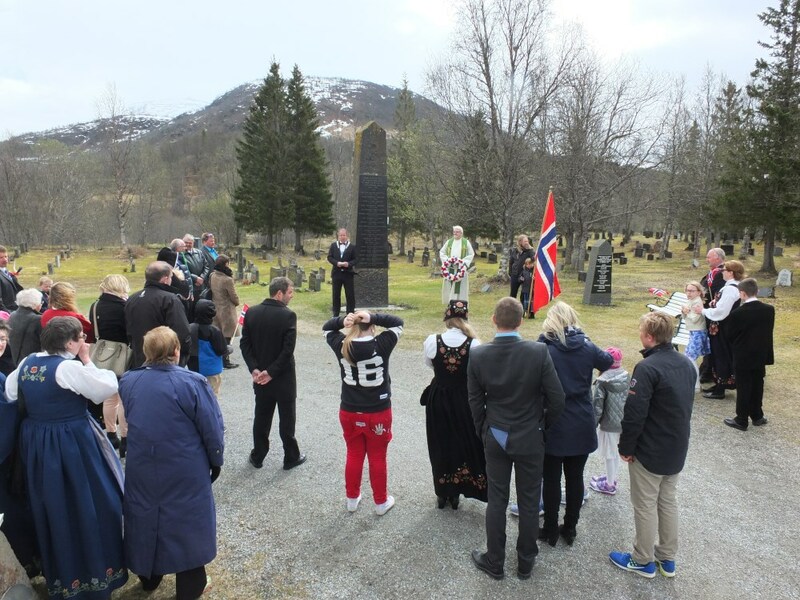 The 17th of May, Norway’s national day, is always hectic for us. It’s the second busiest day of the year, after Christmas eve. We experience it in a different way to the majority, driving from church to church to play a variety of services. This means that instead of marching in the various local processions, we try to avoid them (so we don’t get stuck / delayed); instead of indulging in a lot of ice cream / cake / coffee, we run past the cake stalls and grab a bottle of water and a banana in the car; instead of eating a leisurely family middag (main meal), we have a left-over hot dog after the final services, at 7pm. Still, I guess it’s the reason we’re here – to serve. We’re not really grumbling – it’s just different. On my travels I had a bit of extra time, so here are pictures from my 17. mai. 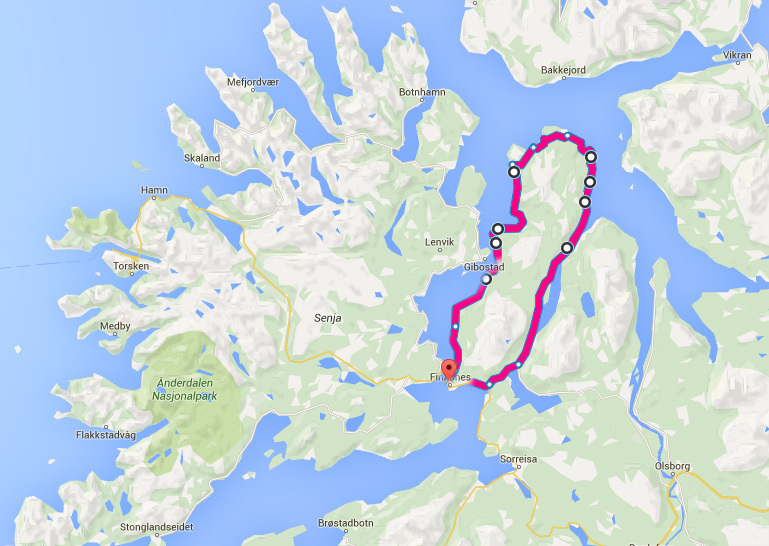 After the first service, in Rossfjord, I heeded a warning about the state of the quickest route to my next appointment, and opted to drive the longer route, around the Lenvik Peninsula. 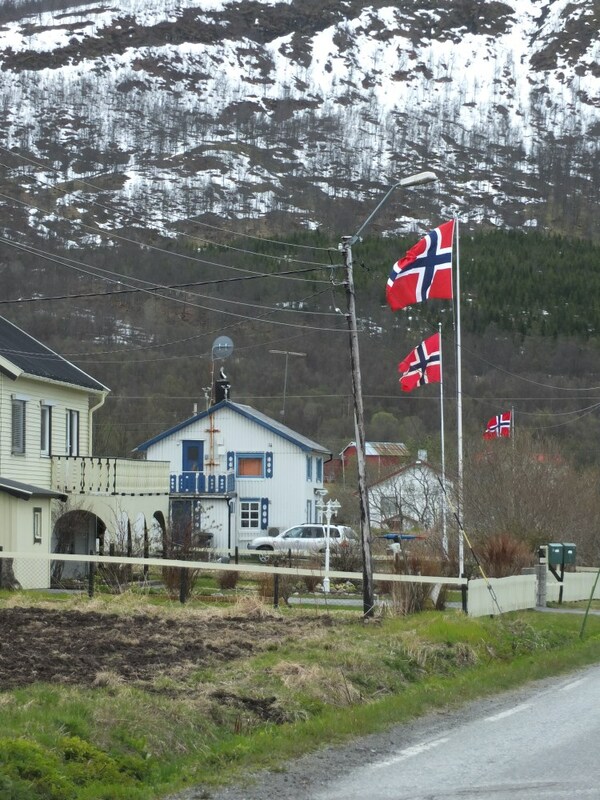 My first service was in the village hall at Rossfjordstraumen. It went OK, apart from the almost complete lack of light on the music stand (not good for the right note / wrong note ratio), and the lack of a bowl to take the collection. 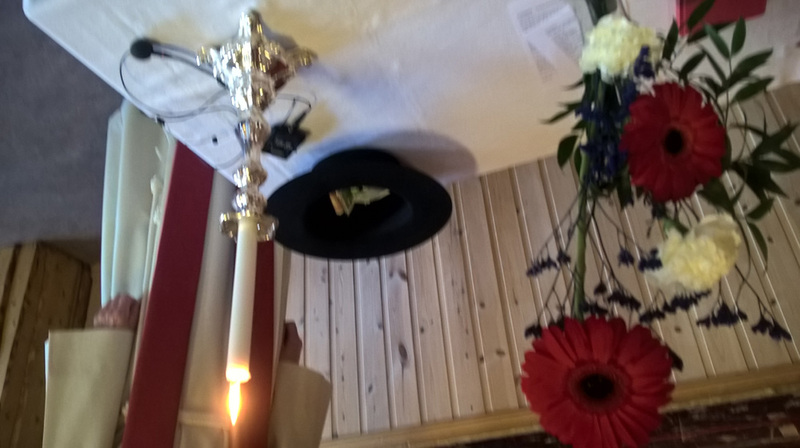 At least the clergyman had come in nordlands bunad (the northern version of Norwegian national costume) so he had his hat handy! Why are you wearing stockings? But, why are you wearing stockings? Well, they’re traditional, a bit like socks. Do you like them? Having managed to beat the local procession, I was soon heading north on the east side of the peninsula. 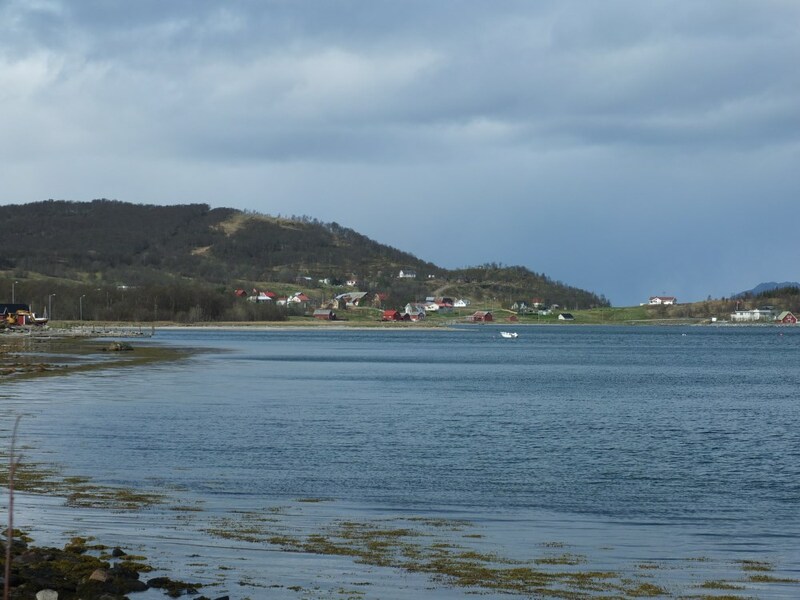 These pictures were taken from Grønjord, looking out over Malogen. The weather was rather mixed: gusty winds, sunshine and wintery showers. 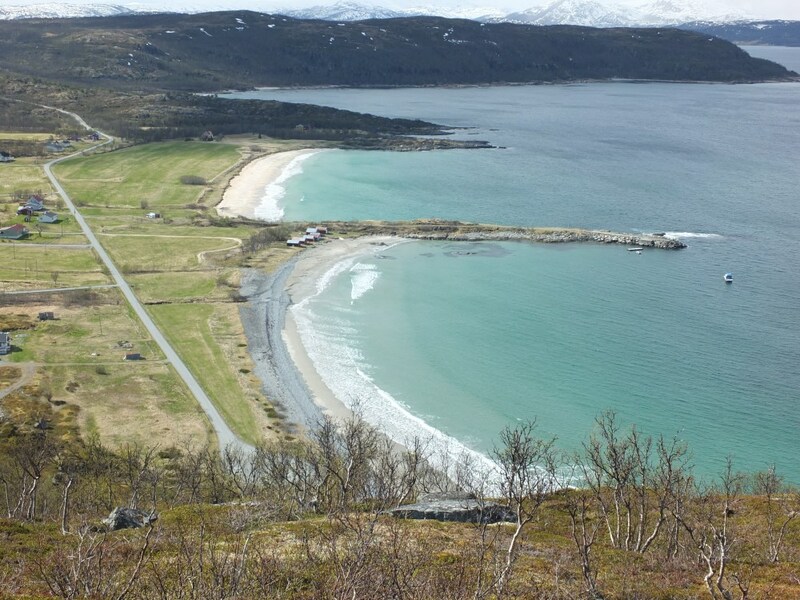 Here is a 360 degree panorama from above Aglapsvik beach. 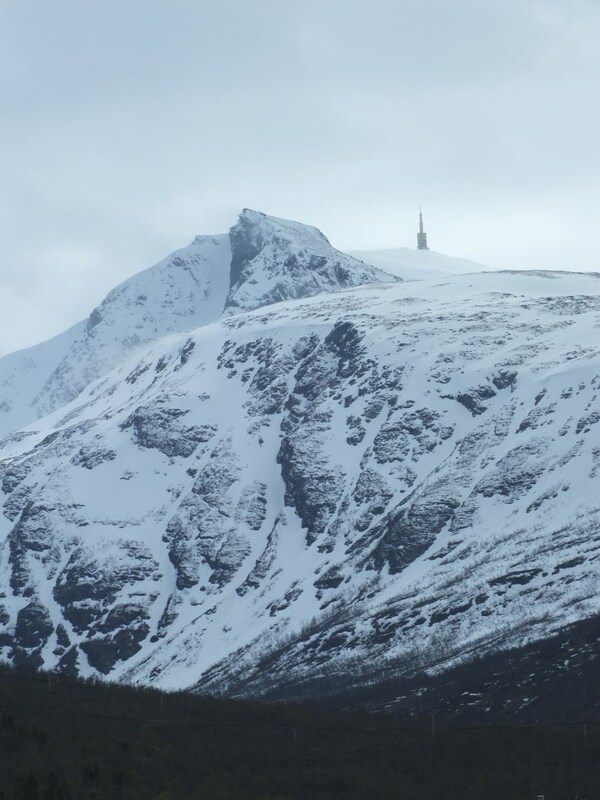 Because my second service, at Bjorelvnes, was at the slightly untraditional time of 1pm, I was treated to a view of Hurtigruten coming up the sound, with Kisterfjell and the church in the background. It’s more usual for us to see the back end of the boat as we are leaving the church! I assume the slightly alarming starboard list was caused by passengers rushing to phtograph me photographing them!? 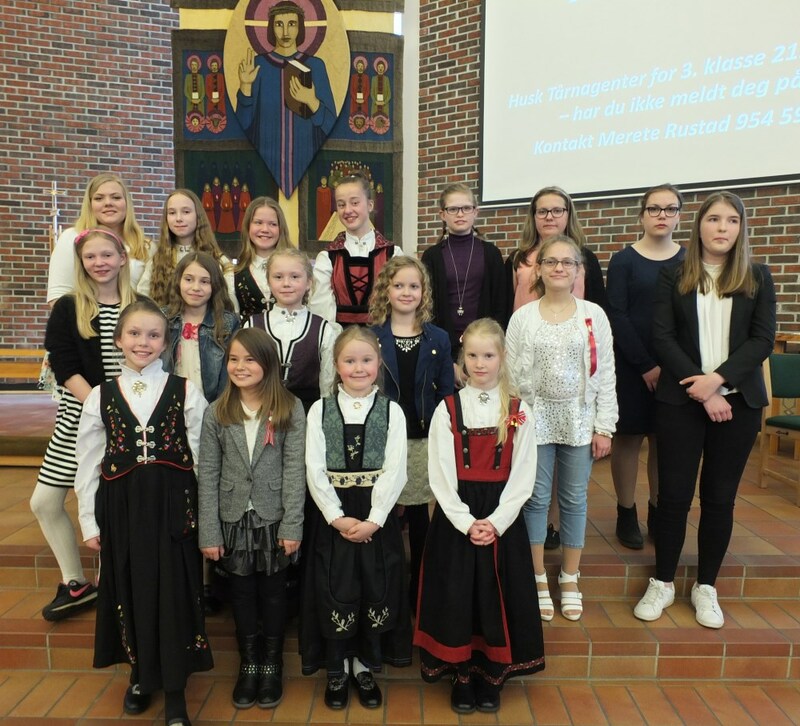 Then it was back to Finnsnes for the final service, which included music from our children and youth choirs (rather depleted numbers), and an interactive sermon. Quite some day! Lovely account of your hectic round tour. Take it there wasn’t time for a dip from that lovely beach at Aglapsvik?